Darrow was born poor, on April 18, 1857, near Kinsman, Ohio. His mother died when he was fourteen, and his father, an embittered seminary student–turned–undertaker, bore the stigma of the village atheist in an intensely religious rural community. As a child, Darrow hated formal schooling, but with his father's encouragement, he read widely from the extensive family library to educate himself. As his father's intellectual companion, Darrow grew to love reading, to hate being poor, and to willingly embrace unpopular causes. Once, Darrow's father went to observe a public hanging to see what it was like, but left before the moment of execution and reported to Darrow how he felt a terrible shame and guilt for being any part of such a "barbaric practice." This report was not lost on Darrow, who would become a fierce public opponent of the popular practice of capital punishment, defending fifty murderers in his legal career, with only one being sentenced to death and executed. The prominence of the individuals involved and the violent nature of the crime drew national attention to the trial. Darrow was able to crack the government's case with painstaking cross-examination of its star witness, the self-confessed perpetrator of the crime, Harry Orchard. Darrow exposed Orchard to be a man bent on personal revenge who had implicated the labor leaders only after being prompted to do so by the prosecutors. Darrow's moving summation in defense of the labor movement—"for the poor, for the weak, for the weary—who, in darkness and despair, have borne the labors of the human race"—drew tears in the courtroom, and Haywood and the others were acquitted. Cowan, Geoffrey. 1999. "A Man for Some Seasons: The Darrow Legend Once Inspired Generations of Young Idealists; Stripped of His Mythic Stature, Clarence Darrow Is Now a Man We Worship Less but Identify with More." American Lawyer 21 (December): 56. ——. 1993. The People v. Clarence Darrow. New York: Times Books. Darrow, Clarence. 1996. The Story of My Life. New York: Da Capo Press. Driemen, John E. 1992. Clarence Darrow. New York: Chelsea House. Tierney, Kevin. 1979. Darrow: A Biography. New York: Crowell. Uelmen, Gerald F. 2000. "Who Is the Lawyer of the Century?" Loyola of Los Angeles Law Review 33 (January): 613–53. Vine, Phyllis. 2004. One Man's Castle: Clarence Darrow in Defense of the American Dream. New York: Amistad. Weinberg, Arthur, and Lila Weinberg. 1987. 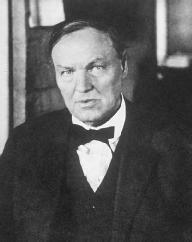 Clarence Darrow: A Sentimental Rebel. New York: Atheneum.